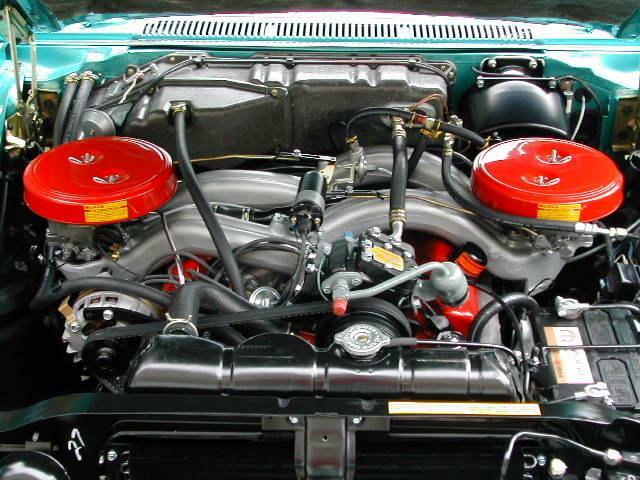 I have been restoring 1961 Dodge vehicles for aprox., the past 20 years. There is little question that this example is the most rare and unusual model. The Dodge’s that were built for ’61 did not sell well at all. Many of these were shipped back to the factory, and several dealerships actually refused to sell the ‘new for ’61 Dodge’s’. Not surprising, as the design was very controversial, and rumor has it, that the final design was selected from a sketch that was tossed into, and retrieved from the trash can. Also, because of internal management problems at Chrysler Corp., the Dodge styling studio fell behind, and a deadline to ‘get the final Dodge design finished’, was critical, and far behind schedule. However, it is obvious this is the only produced car with ‘backwards’ fins. Just the same, the general public did not like this car at all. There are only a handful of these that exist today. This example, was produced for Mexico delivery, and is unlike the American built units. 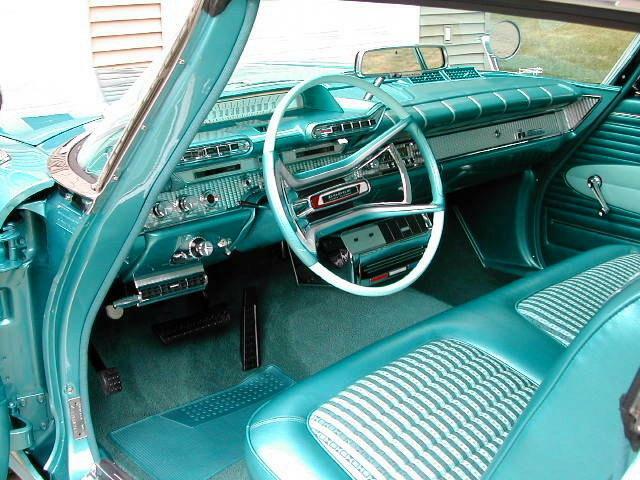 Actually, it shares similar sheetmetal and interior trim items found on the ’61 Plymouth’s of that year. The idea of half Plymouth / Dodge, was nothing new for Chrysler cars of that era. A Canadian Dodge for example, would look like any other Dodge, but would have been fitted with a full 1961 Plymouth interior. A 1959 Plymouth, for example could be found with a ’59 Dodge front end section, if sold in Canada. This mixing of parts , is a subject all in it’s self. What is most unusual about this Dodge, is that this ‘set up’, was not available for Canada. 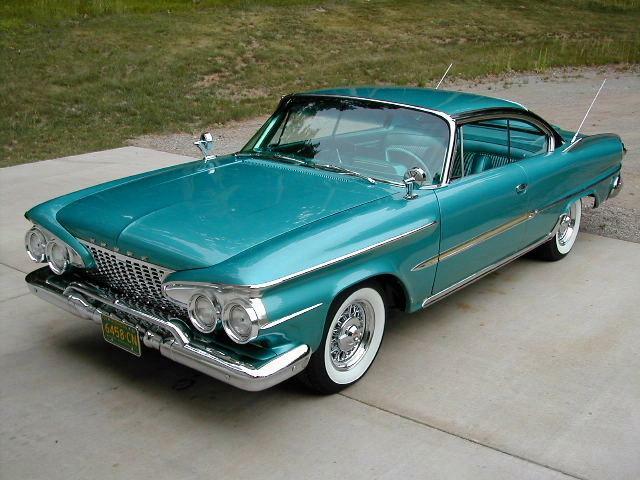 If fact, the only ’61 Dodge’s built for Canada were the smaller wheel base Dodge Darts. (Phoenix, Pioneer, Seneca). Although not documented, I have been told that this Dodge D/500 was produced for sale in Mexico, in which 3 examples of these were made. Most likely from left over parts. Surprisingly, the only model identification suggests that this is a ‘D/500”, as indicated by a small nameplate at the rear of the car. Normally, an American built ’61 Dodge would also bear this emblem had it been equipped with a high performance V/8 engine package. 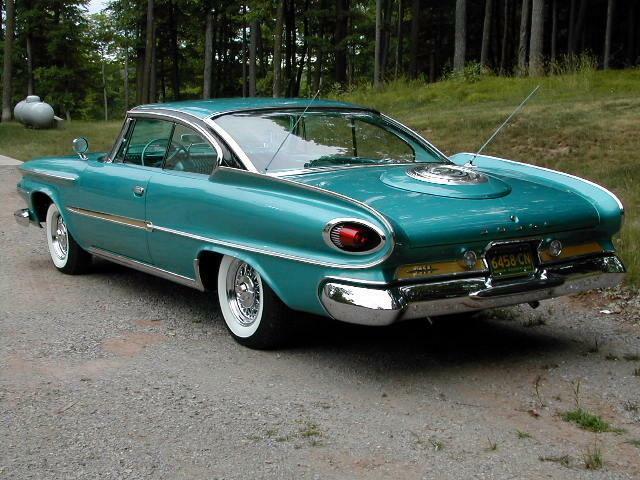 At first glance, the body rear end section resembles the upscale ’61 Dodge Polara. A “Polara” emblem or identification was not used. The car has undergone an extensive 3 year, (every nut and bolt, rotisserie), restoration. It is highly optioned, including the very high performance , Super D/500 , 413cu in., 400hp “Sonoramic”, long ram engine. Some of the ‘specialty’ options include, a 45 rpm record player, Kelsey Hayes wire wheels, “Flight Sweep” trunk lid wheel, “Tower Back” front seat, “Mirr o Matic” self dimming dash mounted rear view mirror, “Satellite” horizontal (drum style), revolving clock. Dual remote fender mounted mirrors, and twin antennas. The more conventional options include, power steering , brakes, pushbutton Torque Flight transmission, “roof sweep”,(spring edition roof moldings), extra large brakes, dual exhaust, two tone paint, rear defroster, “Astrophonic” radio, padded dash, bumper guards, and factory air conditioning. It was also equipped with an automatic ‘lipstick dispenser’, however, at this time it is under restoration. In retrospect, it is sad that more of these examples can only be found, tucked away in forgotten photographic files. Today, however, the ’61 Dodge is in my opinion, a remarkable example of a time when 1960’s space age travel was still on wheels.